We’re in the business of bringing people to their destinations, but we’re also in the business of helping to improve the air quality, which in turn enhances the overall living conditions in Southern Nevada. 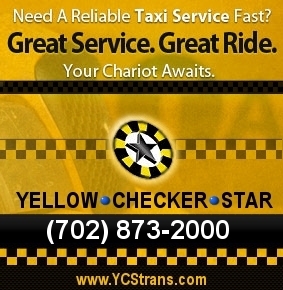 Yellow – Checker – Star Transportation, one of Nevada’s largest taxi cab businesses, has not only been bringing impressive service and transportation to Southern Nevada for numerous years. It also has been at the forefront of improving air quality and educating the public about the benefits of alternative fuel. The three cab corporations under Yellow – Checker – Star all use propane for their combined 550 taxis. The entire propane fleet logs more than 50 million miles per year, and saves the Las Vegas Valley from 800 tons of carbon monoxide and 800 tons of particulate matter per year. In the several years of operation with alternative fuel, Yellow – Checker – Star reports no vehicle accidents resulting in a fire with propane. The company has installed safety features in all the vehicles, including slam- valves in the tanks and emergency shut-off switches. The switches make sure propane is contained within the tanks if an accident occurs. Overall, the industry has taken major steps to make sure the use of alternative fuel is overly safe. The three corporations that comprise Yellow – Checker – Star have a lengthy history in Las Vegas. Yellow Cab acquired Checker in 1984 and then acquired Star in 1986. The three companies still operate separately, yet under the umbrella name of Yellow – Checker – Star.